Click here to find out more about the PTA. Get involved and make your kids proud! Our kids love seeing the hard work we put into each event and program." Let your voice be heard! 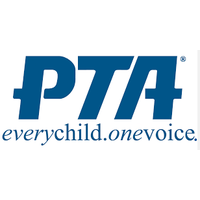 When you join the PTA, you also join the California state and national PTA. Membership numbers count in a significant way when our representatives are lobbying for funding for education. You are invited to our association meetings which will be in the EVENINGS this year! Have a say about PTA events and issues! It's a great way to meet other parents. Have access to our school directory. Receive a $20 off coupon code for your yearbook(s). We are using a new company this year that allows for 2 personalized pages per child and plants a tree for every book purchased! Yearbooks will be on sale at the start of the school year. In order to enhance the privacy of our students and families and strengthen our membership we would like to announce that the 2018-2019 directory will only be available to our PTA members.